Colors are essential to produce great designs, whether it’s the design of a website, magazine, or even a wall of your room. Talking in terms of a magazine, creating a color scheme gives identification to the brand and makes it visually appealing. Maintaining a color connection with your audience is thus as important as delivering compelling content. 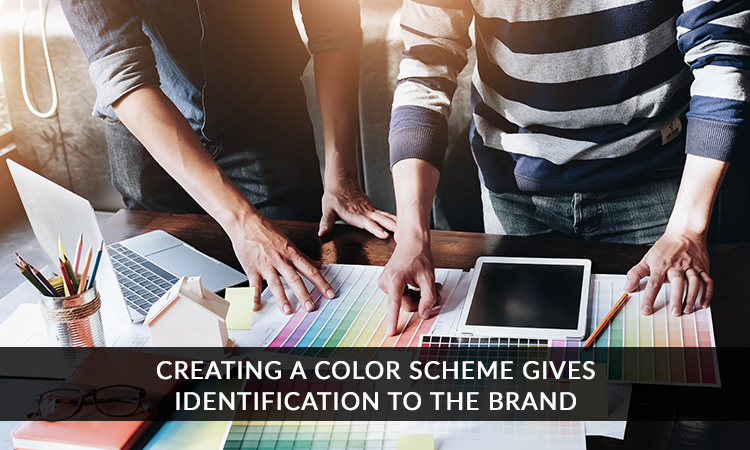 Identifying the importance of developing a winning color scheme, there are numerous online tools available in the market to save you of all the hard work. Helping you to choose the best ones, here are top free tools that help in the color management of your magazine. Adobe Color CC: Previously known as Kuler, Adobe Color CC is one of the best free, online color tools with easy to use interface and full support for sharing and collaborations. You can choose from a large number of existing color themes in a set of five colors or customize using the color wheel or import an image. If not an expert in using a color wheel, you can also take advantage of the predefined color harmony patterns such as monochromatic, complementary, shades, etc. Upon creation, the created color themes can be saved under “My Themes”. The saved color schemes can then be exported to other Adobe apps like Photoshop, InDesign, etc. to keep your creations in sync with each other. COLOURlovers: If looking for color inspiration and ideas for your personal or professional projects, this is the right place to be. COLOURlovers is an enormous creative community that allows you to create your own color, palette, or pattern. Not just create, one can also share and appreciate the works of other international color artists or designers. For the seamless creation of designs and color palettes, it provides access to advanced tools like Seamless Lite, Themeleon, PHOTOCOPA, and COPASO. This platform allows you to search by channels like print, digital art, fashion, etc. ; trends like magazines, branding, websites, etc. ; or through community forums, groups, and blogs. Paletton: It is an innovative and interactive color scheme designer that helps you choose adjacent colors, triad, or other color combinations from the colors in a wheel or directly from the presets, quickly edit them, and save. Along with a quick preview on screen, this tool immediately facilitates an example view of how your creation may look like digitally. Upon creation, the end palette can be shared or exported as color list or swatches. Either export the created color list as HTML, CSS, Text, etc. or export the color swatch as PNG Image or as GPL (Gimp), etc. the choice is yours. All in all, it is a great tool if you’re looking for a more visible tool with quick share and export support. Colormunki: It is an innovative online tool to create color palettes and can be incredibly useful for creating that perfect color scheme for your digital magazine or apps or website. It assists users to choose from library colors from Munsell or Pantone, select from images, or leverage available user palettes. The created color palette in the form of color patches can be saved and downloaded instantly after you’re logged into your account. Along with color scheme creation, it features another useful section called color knowledge where you can take up a color IQ challenge, go through an available color glossary, or watch training videos and color clips. ColorExplorer: This is one of the most detailed and free online color toolboxes that fulfill the requirements of both a newbie and a color aficionado. However before getting started, one needs to quickly go through all the options and gain a basic understanding so as to work efficiently. With full support for creating palettes, ability to choose from the library, or image color import, this easy to use color matching tool makes sure to deliver enough information in the form of screencasts or help and guides. This tool is developed as an enhanced version of another color tool called ColorBlender which itself is a good tool to start with. Once you’re well versed with this tool’s features, you can stick to this option for finishing creative projects. Colorspire: If you love simple interfaces, then this is the right color scheme designer for you. With a color scheme preview on screen, it helps you quickly build and check a five-swatch color combination for your projects, say choosing a color scheme for your magazine cover, etc. Under its overview section, Colorspire clearly mentions that the first step is to choose a base color, second you can leverage color wheel to find complementary colors, tertiary colors, etc. to create your own color scheme, and lastly, it permits you to review the results in real-time. If not yet satisfied with the color palette, you can individually tweak the palette color and get the desired results. The job for selecting the right color scheme for your magazine will become a lot easier once you get started with the tools listed above. Give them a try and save yourself of all the hurdles of starting from scratch.